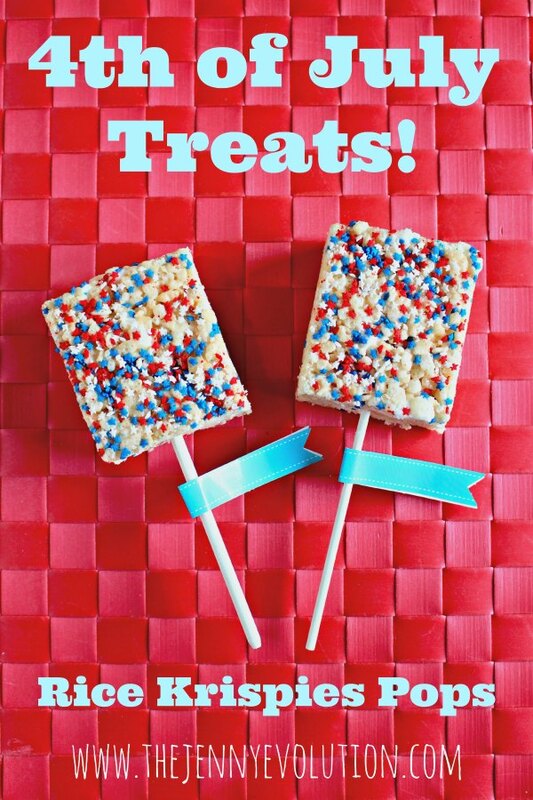 Kids are going to go gaga over these delightful 4th of July Rice Krispies Pops on a stick. Little hands can easily hold them and older kids will enjoy the novelty of having a pop-like treat! This recipe will make one 9×13 pan of regular sized or one 9×9 pan of 6 thick bars. This post contains affiliate links. Decoration: Red, white and blue stars; patriotic sprinkles; or crystals. 6. Decorate with red white and blue stars, crystals and sprinkles on top. 7. Allow the rice crispies to cool in the pan completely before cutting into six even squares. Kids are going to go gaga over these delightful 4th of July Rice Krispies Pops on a stick. Line a 9x9 pan with foil and spray with Pam. Set aside. And the marshmallows to the melted butter, stirring constantly. Once the marshmallows are melted, remove from heat and stir in the cereal, salt and vanilla until well-coated. Using a rubber spatula, transfer the cereal mixture to prepared pan and press down evenly. Decorate with red white and blue stars, crystals and sprinkles on top. Allow the rice crispies to cool in the pan completely before cutting into six even squares. 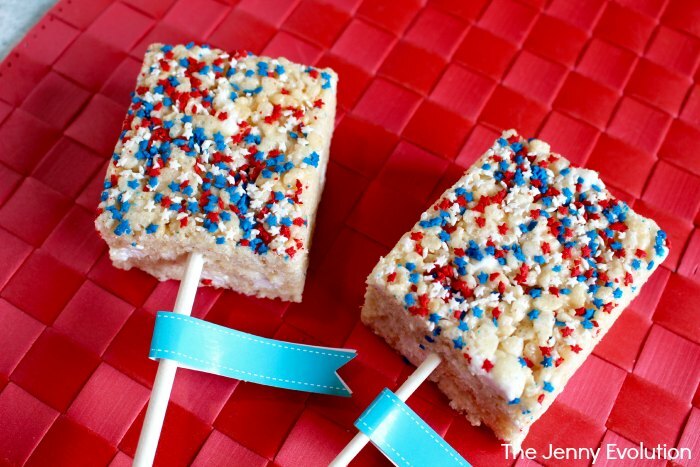 Optional: place a cookie pop stick into each square to make patriotic Rice Krispies Pops. This recipe will make one 9x13 pan of regular sized or one 9x9 pan of 6 thick bars. That’s it…. I have to make these for the kids this 4th of July! They will think they are so much fun ; ) Pinned to my 4th of July board! These look great and would be fun to serve for the 4th of July. Thanks for sharing on Snickerdoodle Sunday! 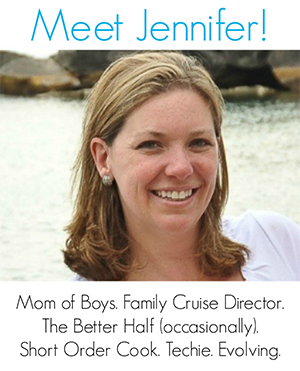 These are super cute, Jenn! I made my daughter a rice krispies layer “cake” for her 3rd birthday. I love the simplicity of these and will likely make them for my son’s birthday this month. Thanks for the idea. Aren’t these fun? And I love that the kiddos get a stick to hold on to… just makes it more novel and less messy for those little fingers. Does the stick slide in easily and does it stay put? The stick stays pretty much in place! A great way to celebrate with your awesome Rice Krispies Pops! Thanks so much for sharing with us at Full Plate Thursday. Have a great week and come back soon! These are a big hit with the kiddos. Yummy! Thank you for sharing at Dishing it and Digging it link party.